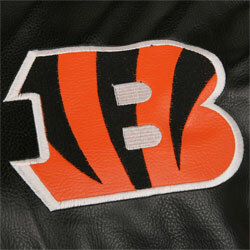 bengals4ever - Go-Bengals.com - The Best Bengals Fan Community in the World! Le'Veon Bell suspended 4 games!!! Looks like he skipped out on a drug test. His dream of playing the Bengals without Vontaze has come to a crashing halt. When do we get to start arguing that Dalton is elite?? !! !THE OFFICIAL GIANTS @ BENGALS PRESEASON GAME THREAD!!! thanks it was fun! back when i joined this board i had a dream of getting a birthday thread and now I have one. too bad i didn't see it until two weeks after the fact. !! !THE BENGALS @ STEALERS GAME THREAD!!! Can we pin this post to the top of the forum as the 'end to the Dalton debate' ??? Looking at these numbers I can't understand how anyone could think Dalton isn't garbage! I mean, he's already lost as many fumbles as he did his rookie year!! That's why I asked when we can start the conversation, not 'let's start the conversation.' but to be honest I started this thread mostly as a joke, but it got real when Go typed out a 5000 word essay. Is it before or after this year's Super Bowl run?? ?